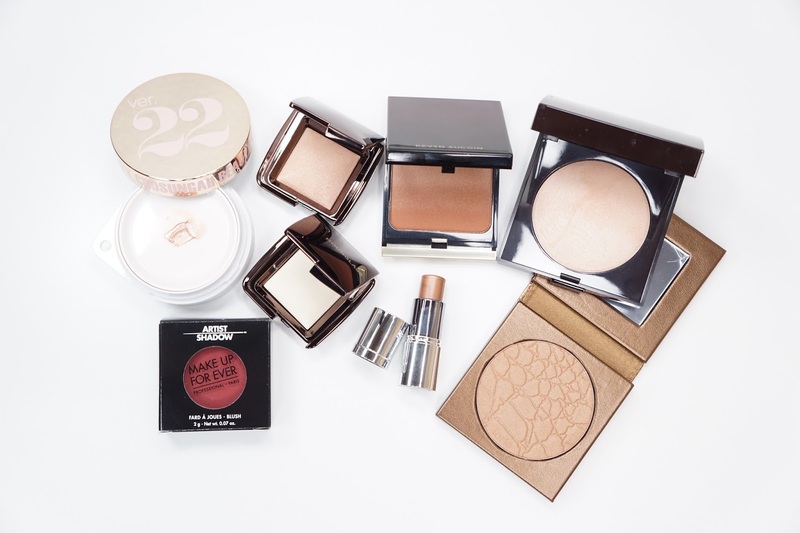 My main focus for this haul in terms of makeup was to get some new bronzers and face products. Besides one eye product that I've been wanting for a year, I think I did a pretty good job! The Hourglass Ambient Lighting Powders are something I kind of wrote off after I didn't have the great and amazing experience everyone else had with Dim Light (I think? It's been years since I've had this product). I decided to give Radiant Light and Diffused Light a try since Hourglass now had all of the Ambient Lighting Powders in travel sizes. I mostly wanted Diffused Light since my current yellowy powder was running out and then Radiant Light was an impulse buy since I was already on that bronzey train with the rest of my picks. The Chosungah22 24H Raybeam Highlighter in Shimmer Bronze was a no brainer for me since I had such a great experience with Pink Glow (review here). So far, it is more sheer than I thought it would be but it has that same dewy glow that I loved from Pink Glow. 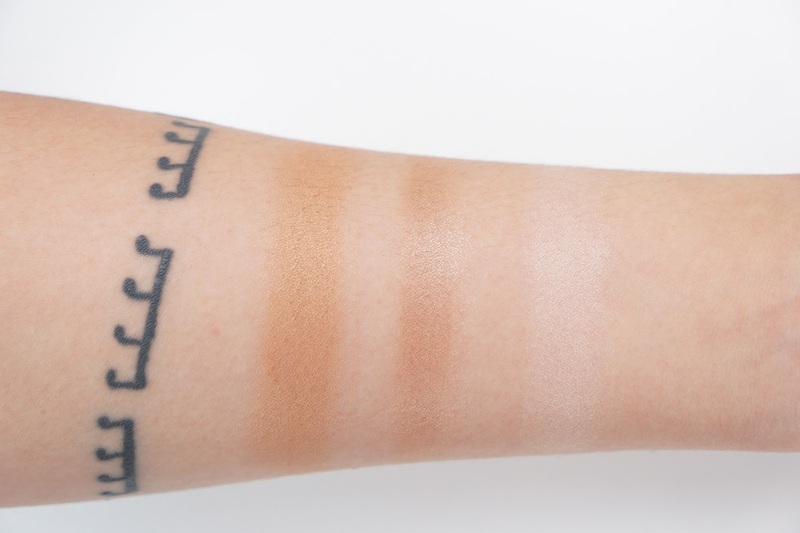 It adds a tiny bit of warmth to my medium skin tone, but would look more lovely and bronzey on lighter skin tones. I've actually collected a couple of the Cover FX Enhance Click Sticks, but Gilted is my first bronzey color from this line. 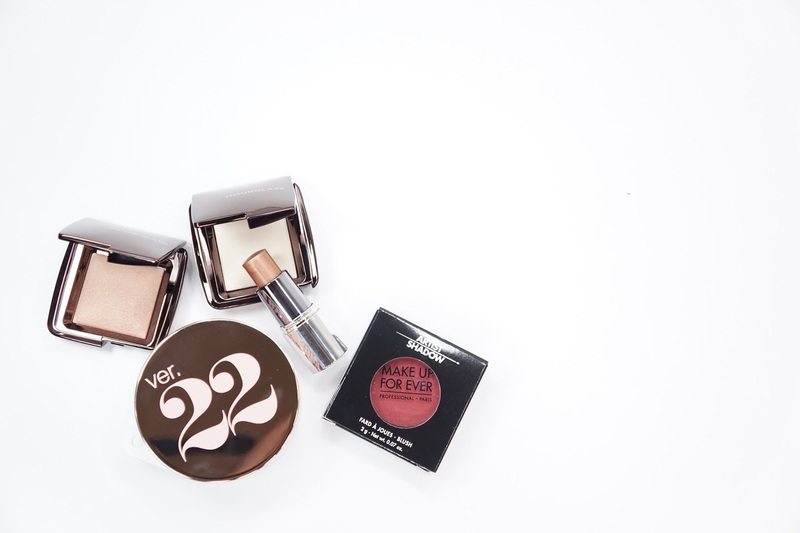 The Enhance Click Sticks are slightly on the dry side and so they work wonderfully under and over powder products. The swatches are super pigmented, but it does sheer out to be more wearable. The formula is also more buildable than the Chosungah22 24H Raybeam Higlighters as well and so I could go really ham with Gilted and look naturally bronzey even during winter. The only eye product I got during this haul is the Makeup Forever Artist Shadow Eyeshadow in M846 Cherry Morello. 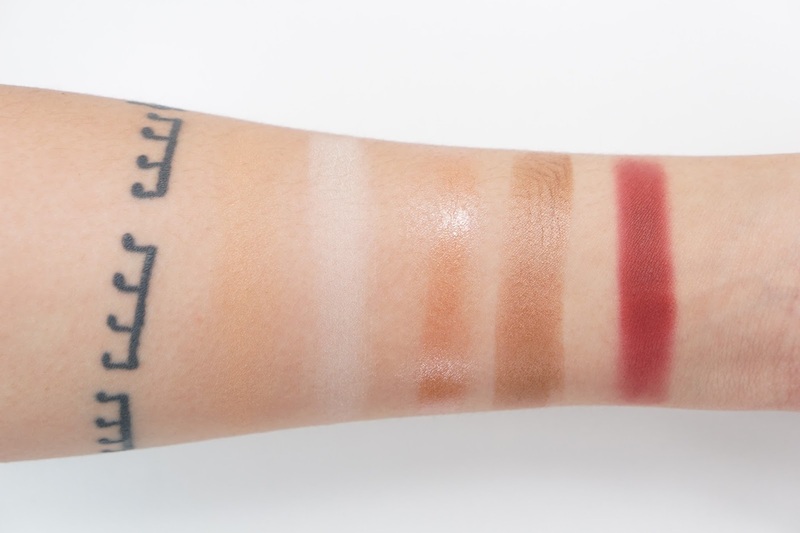 I've heard about this shade ever since the Artist Shadow Eyeshadow and Blush line launched and the more I saw swatches of it, the more I wanted it. I held off for a while because I thought it would be too intense for me and the current trend, but red shades like this are definitely having their moment right now so it wouldn't be too strange if I wore this out in public. I haven't tried the matte shadows before, but just swatching it felt amazing. Super excited to try this product out! The Tarte Amazonia Clay Waterproof Bronzer in Park Avenue Princess is something I've actually tried before and loved, but I think I sold because I had other bronzers that I liked more? Now that I'm on the hunt for the perfect shimmery bronzer, I knew I had to go back to Park Avenue Princess. The shimmer isn't overbearing like a highlighter could be and it blends so well into my skin. The color is perfect for my medium skin tone as well and I've been wearing it every day since I've gotten it. The Kevyn Aucoin Celestial Bronzing Veil in Tropical Days was the only dud from my haul, but it's because the silvery shimmer in it made it look muddy on my skin tone. The top shimmery portion and the bottom warm bronzey portion were both really lovely, but the middle section did it do it for me. For the price, I wasn't happy with it and actually returned it after try it out a couple more times after I took these pictures. The product was also really pigmented and slightly powdery too and so I couldn't lightly run my brush over the surface without getting too much. My skin tone is pretty warm though and so this bronzer might work better for those who are more cool toned than I am. 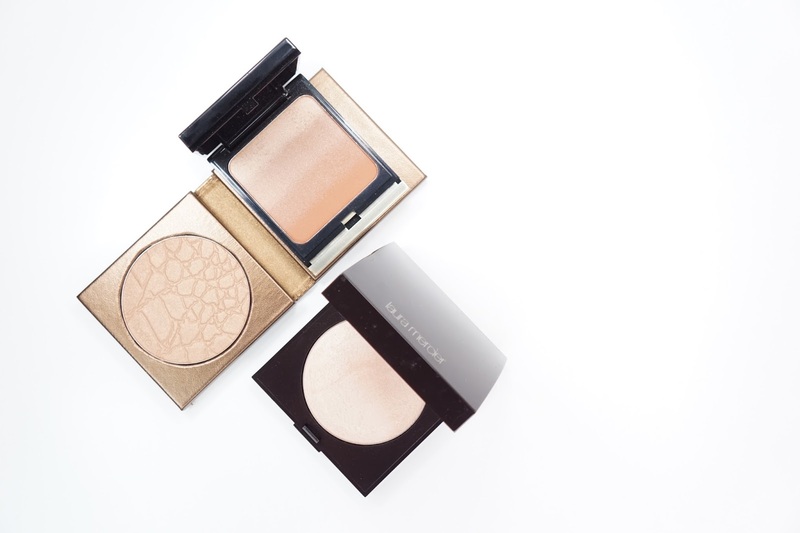 The last product is the Laura Mercier Matte Radiance Baked Powder Compact in Highlight 01! I've been into more subtle highlighters and since I've heard nothing but great things about this highlighter from subtle and extreme highlight lovers, I decided to give it a try! From first swatch, it actually really reminds me of my favorite Pony Effect Mirage Highlighter in Lucid Dream. They're both on the slightly off white side and the shimmer is incredibly fine. It has a great texture and finish and I'm looking forward to using this more! & that's it for the makeup portion! What have you hauled recently? Since I'm doing blogmas, please put any blog post suggestions below! It could even be a review request for any of these products!